Google has updated a part of its search engine. This will go almost totally unnoticed by around 99.999% of all Internet users. But a small number are very, very, very, very, very, very, VERY excited about it. They are SEOs. They spend all year waiting for news such as this and if excitement could be objectively quantified collectively their excitement might actually exceed that of a 5 year-old in the run up to Christmas. That is how totally bonkers-excited these guys are. Their mass hysteria is highlighted in the language that they use to report the news that Google has updated some code somewhere. It ranges from terror and fearmongering to a general declaration of war. These guys can get pretty angry! Let’s take a look at some of the best headlines. There is no mincing of words here – SEOs were readying themselves and their clients for all out war. Yes, for months Google had this terrifying creature chained in a dungeon six miles underground, guarded by an army of the fiercest creatures you could ever imagine: blood thirsty pandas, pecking pigeons, utterly terrifying hummingbirds! Edward from the otherwise jolly Bubblenews was only really adding fuel to the fire that had been burning since last Saturday when he wrote that headline. Alex Graves on David Naylor’s website was the first to start pounding the drums of war. “Google Go To War Again“. Note, Google is no longer a company, it is a country on the attack. (for those of you who do not follow Google search updates: they are only trying to attack websites that spam their way to the top of the search engines, but in the SEO world this is considered below the belt). One of the biggest gripes for SEOs was that Google launched this bloodthirsty attack on a Friday afternoon knowing that SEOs wanted to spend the weekend mowing their lawns and watching Doctor Who. Clint Butler was one of the first to share his “great pleasure of watching data and information flow in about search engine optimization.” – his post out there in Afghanistan certainly gave him a head start in reporting this attack. The SEO community were thrown into wild array at this surprise attack from Google (a surprise that had been speculated about heavily for the entire year). SEOs first thought that the attack was launched on Saturday 22 October and was a single pincer movement to wipe out the entire enemy in one swift move. However, it started to emerge that the attack may have actually started on Friday, possibly with a smaller team of special ops infiltrating the sewer networks to undermine the Black Hats before the main force was mobilised. By Sunday, the SEO community was buzzing at the news of the attack and people started to report on the aftermath – winners and losers. 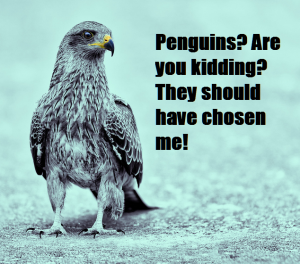 Click had the Penguin 3.0 Winners and Losers all wrapped up on Monday 20 October shortly after Seroundtable announced “Google Penguin 3.0 Roll Out Now Complete“. But, there was a surprise coming! This is a longer campaign. By Monday afternoons SEOs were starting to realise (mostly because Google told them so) that the Penguin attack was not yet over. The ferocious fish eating forces had swept across the US English speaking part of the world but had not even started feasting on the carcasses of dead SEOs overseas. On Tuesday 21 October another SEroundTable update told is “Google AutoCorrects: Penguin 3.0 Still Rolling Out & 1% Impact“. This was a very clever move from Google – attacking in multiple waves adds to the confusing and greatly increases the chances of victory. Webmasters have been warned – keep your eyes peeled, keep looking behind you, be ready for the next attack. We do not know when it will come or who it will target first, but it will be coming. Penguin 4, attack of the vampire penguins, is likely to be launched in 2015, or maybe 2016, or maybe not at all. Nobody knows, very few people care, but you will hear about it every bloody day. If you wish to see how this attack happens in real time watch this video – you can actually see a website get pounded by the Penguin here. Shocking stuff. Photo credit: Photograph by Steve Slater (CC BY 2.0).